We know and understand how difficult it can be to arrange a funeral; we strive to offer a complete, individual, caring and professional service to all families from the moment of first contact. We’ll endeavour to help you every step of the way, providing guidance and support at a time when you need it most. We consider it our privilege when a family entrusts their loved one into our care and we guarantee that we will provide the highest possible level of care. We strive to listen to all our client’s wishes and deliver a personalised funeral as a lasting tribute to their loved one at a fair and affordable cost. 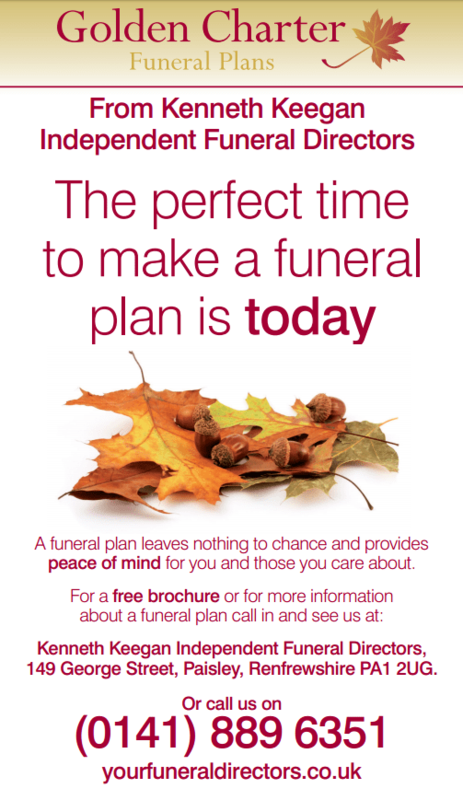 Please visit Keegan Funeral Directors for more information or to ask about one of our pre paid plans.